Swimming Success with Karalynne Call. Learn to swim in 8 days or less. All parents, babysitters, and guardians should be certified in CPR and First Aid. Have a telephone within reach at all times when in or around the pool. Always watch your children - never assume someone else is watching them. Check the pool first if your child is missing - every second counts. Teach your children to never swim alone and to ask an adult to watch them swim. Remove all toys from the pool and pool area after every use, so children are not tempted to reach out for them. Keep rescue equipment near the pool. 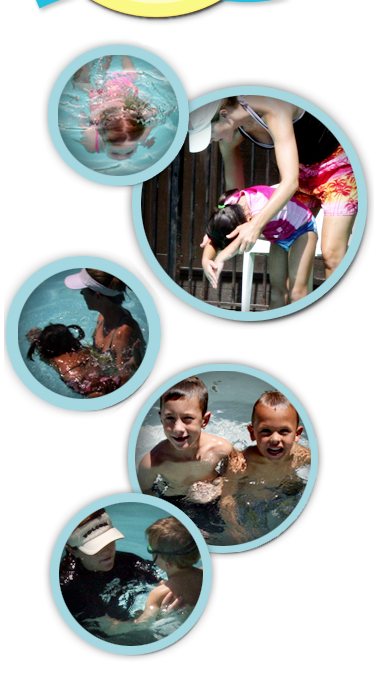 Take precautions with pool covers - children may try to walk over or swim under. They should be removed completely before swimming so children cannot swim under the cover. Clean pool water ensures sanitary conditions and high visibility. Use layers of protection: pool fences, self-closing and self-latching gates, dead bolts on doors leading to pool, pool alarms, alarms for the doors and windows leading to pools, safety covers for the pool.